Talk Real Fine, Just Like A Lady is adapted from Teresa Deevy’s play “The King of Spain’s Daughter”. Deevey, the mid-twentieth century playwright, is being recognised by both the Peacock and the Abbey, simultaneously playing Deevey’s other work, Katie Roche on the main stage at the Abbey. This rediscovery of Deevey’s work has been influenced by the Waking the Feminist movement. Both plays investigate the concept of the ideal woman as laid out in the 1937 constitution and examine the lack of choice in women’s lives outside of family life. 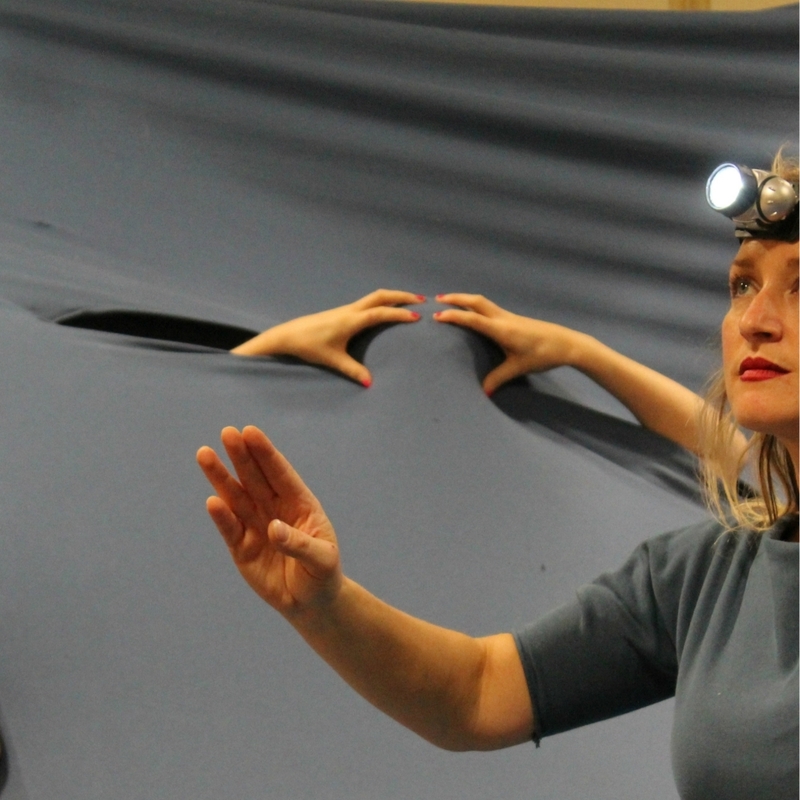 Amanda Coogan and Dublin Theatre of the Deaf were also influenced by Deevey’s own deafness and take the themes of Deevey’s work to examine social justice issues. Irish Sign Language (ISL) is still not recognised as an official language in the Republic of Ireland and the deaf community have been fighting for their civil rights for the past 35 years. For the deaf community in the 1930s, deaf girls were institutionalised in schools and segregated from their male peers. In order to ensure that they could not fraternise with each other, girls and boys were taught two distinct sign languages. The unique vocabulary of female signs was used only by the women and this performance is signed using women’s signs. From the outset, a hearing audience member is brought into a space that immerses you into the deaf community. On arrival into the lobby of the Peacock, I realised that I was in a distinct minority of non-signing attendees. Members of the Dublin theatre for the Deaf – “Comrades”- are there to guide you into the space in small groups. When you enter the theatre you walk under a nylon fabric engulfing the whole space while three women, with almost grotesque painted faces and orange bonnets, sit high over the audience. You realise that we are all sitting under their skirt. These three actors play the part of “Mrs Marks”, but also represent the religious orders and society as a whole refusing to give recognition to this community’s language. On a screen behind there is the image of a dancer which I can just make out under the fabric screening my face. When the play begins, the fabric falls over and you put your head through a hole in the fabric. Five actors play the part of “Annie” and they are scattered through the audience. Mrs Marks sits in judgement and in both her physical presence up above the audience and in a figurative way, we sit in the tension and fear she creates by her apparent displeasure at seeing Annie’s signing. This use of the physical language of ISL is so transfixing to watch, so emotive and expressive that you have a visceral response to the play without necessarily understanding the language. Talk Real Fine, Just Like A Lady is a call to arms, a celebration of a community and culture. Intermingled in Aine Fay’s score are fragments from Beethoven’s 7th Symphony, reminding us of the amazing contribution that deaf artists have given to the world. This is a powerful piece of theatre that challenges the audience to rethink our relationship with language, gender, power and theatre-making. It is running until 23rd September.